This review is about item#35348896. It is light, durable and easy to wear, and I am very satisfied with the amount of money. This review is about item#35348914. This review is about item#35348923. I think that there are probably no safety shoes that are lighter than these shoes. Therefore, it is not durable. 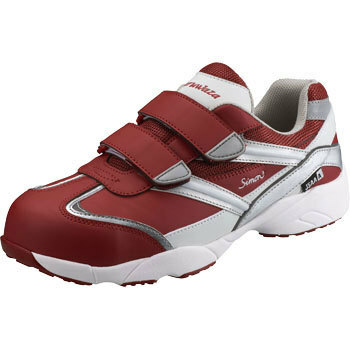 However, it is a product that you are having trouble without having to wear safety shoes by shipping work by all means. This review is about item#35348941. Just hitting a little bit peeled the skin. I think that as a result of pursuing lightness it is flexible. Depending on the work content may be light, but it can not be used in our work. I bought it at a nearby DIY, but I did not place this item, so I bought it here. Immediately after use, it is light and comfortable to wear. Since there is a reflection tape, I think that it is possible to secure a certain level of safety at night. The decrease of the soles is quicker than that. It will be like a slipper as it decreases. If you continue to wear more water, even a little puddle will soak into the interior. It is time to replace when it comes to comfort like slippers. This review is about item#35348887. It is very light as per product name. In the impression that said that pursuing lightness was just said, the shoe sole is thin and soft (like slippers) I think that it is good for the work said to stand or crouch, but since the sole of the shoe is thin anyhow walking on a gravel road or uneven In a lot of workplaces etc feel pain in the sole of the feet, I get tired quickly. The resistance to stepping was also very weak, and at the dismantling site, it was surprising that the floor nails were surprised, of course, even though the screws of about 9 phr were penetrated easily, they were injured. So it is recommended to use it in a flat and safe place. I put on it for about 3 months but now I replaced it with MPN 301 of Midori Safety. Unexpectedly it is good with no steaming and solid building. Although I weigh more than 2.5 times, I do not feel tired at all because my shoe soles are solid. This review is about item#35348871. It is used in sheet metal paint factory. I used Simon's light technical string type, but I ordered a magic type this time because the underwater rubs quickly and water enters from the bottom.